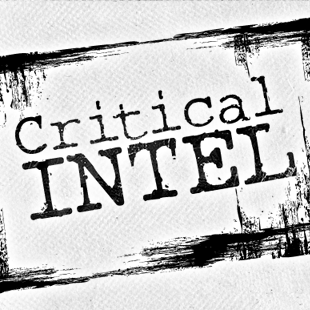 Critical Intel tries to tackle the current issues in gaming, but unfortunately it can't cover everything. Some stories fall through the cracks because of a breaking news event, because they won't fill a whole column, or because I'm in the Himalayas without any internet access. Here's a roundup of three stories CI missed in 2014, from the Thai military junta banning a game, to the Jurassic World trailer, to an embarrassingly bad think tank presentation by the director of the Black Ops series. Dave Anthony, former director of Call of Duty: Black Ops and Call of Duty: Black Ops II raised eyebrows late this year with a presentation to the Atlantic Council. In his inaugural presentation as a fellow, entitled "The Future of unknown Conflict," he laid out the frightening possibilities of future warfare, including enemies hacking drones and attacks on soft targets. Most controversially, he suggested that the government "brainwash" the public by selling them policies the way game publishers sell features. The speech was not received well in the press, to put it mildly. But I don't think the Atlantic Council was happy with it either, a fact that the press didn't pick up on. In fact, Anthony's speech began with the words, "Barry made a pretty compelling case for why I'm here today, but I can see looking at some of the faces it's like, 'Really? It's a video game guy?'" It's the first in a long line of jokes that fall absolutely flat. The first problem was that Anthony didn't say anything particularly new. Atlantic Council fellows tend to be people with vast experience in government. Their list of fellows includes Henry Kissinger and Condoleezza Rice. These people have a deep, thoughtful grasp on policy (not to mention security clearances) that Anthony lacks. His example scenarios are either extrapolations of what's already happened - like Iran hijacking a drone - or "What if it happened here?" scenarios, like imagining the Mumbai attacks instead hit Las Vegas casinos. While these may seem radical and imaginative to E3 audiences, he's not pitching these ideas to gamers, but defense analysts and policymakers who've been discussing these possibilities for years. These aren't new ideas, and some are decades old. Security firm Stratfor claims the Mumbai attacks themselves were based on the New York City landmark bomb plot, where a radical homegrown group with links to al-Qaeda planned to attack city landmarks, hotels, federal buildings and tunnels - until the FBI foiled them in 1993. So what Anthony did was essentially stand behind the podium, claim he was a valuable outside-the-box creative, then tell people things they'd known for years. Worse still, the accompanying video presentation was crass. One portion contained an edited mash up between 3,000 Miles to Graceland and actual footage from the Mumbai terror attacks. The Elvis song "A Little Less Conversation," played over video of terrorists gunning down civilians. The segment ended with a gratuitous shot of bloody victims with the caption "Not 'IF.' But WHERE and WHEN." It was unnecessary, insensitive, and reinforced every stereotype about gaming's casual attitude toward violence. Anthony's talk wasn't completely terrible, but the parts that were useful weren't novel, and the parts that were novel were also awful. His idea of using creative talent to brainstorm solutions has been around since at least the Second World War. On the other hand, his idea to use armed soldiers as plainclothes "school marshals" (like air marshals) would be impossible to implement, since deploying federal military personnel in schools would likely violate the Posse Comitatus Act (you could do it with DHS personnel, but good luck convincing people it's necessary). His idea to sell unpopular policies to the public via hard-sell advertising sounds disturbingly like propaganda. That his suggested "brainwashing" - his words, not mine - caused a media furor only proves how bad a communicator he is, and why his advice on this point shouldn't be followed. Then again, he's hardly the first to suggest the government adopt techniques from advertising agencies. My guess is a lot of lecture attendees were frowning at each other and tapping their watches. So if you're worried the Atlantic Council - and subsequently the U.S. government - will take Anthony's suggestions seriously, I wouldn't lose sleep over it.